According to the National Sleep Foundation, about 30 percent of preschool-aged children and over half of school-aged children and adolescents do not get as much sleep as they may need. Could the increased use of digital devices be making this worse? A new report published in Pediatrics reviews a number of studies to show that children are more susceptible to the effects of screen time before bed due to the ongoing development of their eyes, brains and sleep patterns. What they found was children’s eyes were more sensitive to the light and its impact on circadian rhythms. 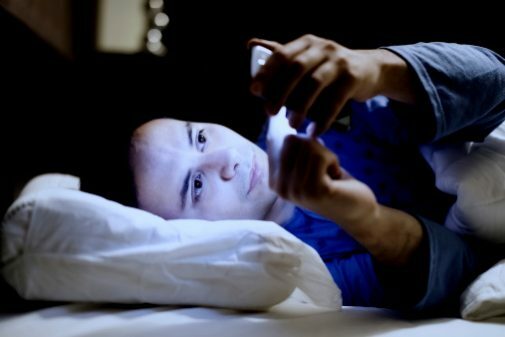 The blue light that his produced from hand-held devices was found to be particularly strong when it comes to suppressing melatonin. “The worst thing about this is that the habit of being on ‘screen time’ until you literally fall asleep is so common with parents that many do not even consider that it is bad for their kids,” says Dr. Aaron Traeger, pediatrician with Advocate Children’s Medical Group in Bloomington, Ill. and Advocate BroMenn Medical Center in Normal, Ill.